Vital objective of this lecture is to presentation on Quality Engineering Education at DUET for National Development. 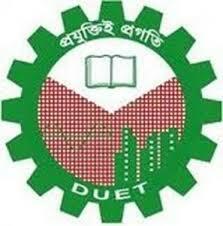 Dhaka University of Engineering and Technology (DUET), Gazipur offers quality engineering schooling for national development to meet the challenges in the 21st century. The best practices of DUET consist of Hartal free campus, smoking free campus, examination of one subject weekly without preparatory leave and the like. Other discussions of this lecture are; academic activities; reasearch activities; consultancy, research and testing service; Development project etc.